Traveling with business jets began during the 1960s with the help of the Learjet 23 and the Dassault Mystère 20. Since then, the field of business jets has changed drastically. 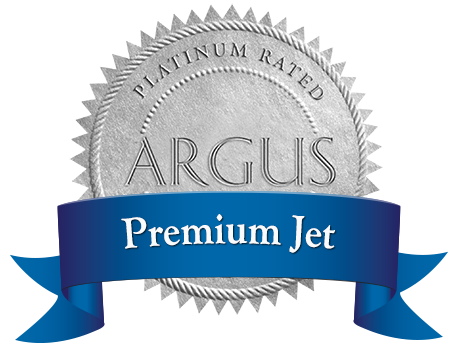 There are many different manufacturers with a wide variety of jets on the market, which ensures that every traveler is able to find the business jet that suits him best. Find out more about Cessna, Bombardier, Gulfstream and Learjet in the first entry of our two-part series. Cessna has already been building airplanes for individuals since 1965. While they built propeller aircraft during the first few years (the King Air series), today their twin-engined Citation series jets are their main area of business. The aircraft series is named after the famous stallion Citation which was the most successful racing horse at the end of the 1940s. In the beginning, the Citation jets were numbered, e.g. Citation I, II, III or V and VII, with respectively differing “catalogues” of performance. For several years now, the airplanes are either named CJ3 or they get names like Mustang or Sovereign. One of the well-known business jets is the Citation Excel, which is suitable for non-stop flights within Europe, as well as the Citation X, which with its Mach 0.925 is one of the fastest business jets that are currently on the market. The newest developments are the Citation Latitude with its transcontinental range (2,850 nautical miles), which entered the market in 2015, as well as the Cessna Longitude with its transatlantic capacity (3,400 nautical miles) that was introduced this year. Another jet currently in development is the Hemisphere. Behind the airline giants Airbus and Boeing is Bombardier the third largest airplane manufacturer worldwide and number 1 in the field of business jets. Bombardier was founded back in 1937, but the company only started to actively participate in the field of business aviation since its acquisition of Learjet in 1990. Some of its well-known models are the Global Express, the Challenger 604 and 605, the Challenger 300 and 305 and of course the Learjet series (see Learjet). The Global series (Global Express, 5000 and 6000) belong to the group of Ultra Long Range Jets, which reach ranges of up to 11,500 km and flight durations of up to 13 hours. Thus they can reach (almost) any place in the world with just one fuel stop. Additionally, the Global 7000 with a range of 13,500 km and a speed of Mach 0.9 is supposed to come to the market in two years. As a Heavy Jet, the Challenger 604 offers one of the widest and quietest cabins of all available business jets and has a range of 7,400 km or nearly 4,000 nautical miles. The Challenger 300/350 is classified as a Super Midsize Jet, with a slightly shorter but otherwise the same cabin as the Challenger 604/605, a range of about 3,000 miles and a maximum flight duration of 6 hours and 30 minutes. Gulfstream became well-known due to its production of mid-size business jets at the end of the 1960s. By now, the company is known for its Ultra Long Range Jets, and especially for the oval windows that are part of the distinctive look of their aircrafts. The first airplane with the name Gulfstream was the twin-engined propeller aircraft Grumman Gulfstream I, which took to the skies for the first time at the end of the 1950s. This model was so successful that the Grumman Gulfstream II jet was developed shortly after. At the end of the 1970s Grumman sold the Gulfstream program to American Jet Industries. For several years the Gulfstreams are named G200/G300 etc. or G450/G550. One of the biggest and most comfortable business jets currently on the market is the Gulfstream G550. As an Ultra Long Range Jet it has a maximum range of 12,500 km. Depending on the equipment, up to four individual passenger areas and three temperature zones ensure the highest possible comfort. During the 1950s the first Learjets were being developed by businessman William P. Lear. The first of the famous Learjet 23 was delivered in October of 1964. About 20 years later 80 planes of the type Learjet 35 were ordered by the United States Department of Defense and a space department was created at the same time. After a number of mergers and investments, Learjet Corporation was taken over by Bombardier Airspace in 1990, and is nowadays known as Bombardier Learjet. The latest models that have been produced since 2012 are the Learjet 70 and the Learjet 75. Both models belong to the Light Jet category. The next manufacturers – Embraer, Beechcraft and Dassault – will be introduced in the second part of this series.